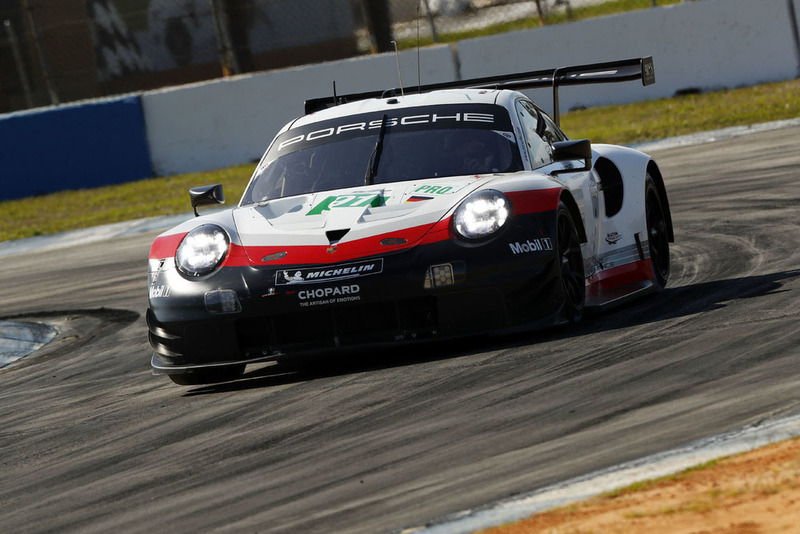 Porsche has secured the best possible starting position for the 1,000-mile race at Sebring in today’s qualifying. The defending world champions, factory drivers Kévin Estre (France) and Michael Christensen (Denmark), planted their number 92 Porsche 911 RSR on pole position. Piloting their ca. 510-hp race car with starting number 91, Richard Lietz (Austria) and Gianmaria Bruni (Italy) will take up round six of this year’s Sports Car World Endurance Championship (WEC) from eighth on the grid. In the GT-Am category, customer teams Dempsey Proton Racing (#77) and Project 1 (#56) locked out the first grid row. The Porsche GT Team kept both factory cars in the pit lane during the opening phase of the qualifying in an attempt to avoid heavy traffic during the hunt for top times. Christensen made the best use of the situation with a fast lap time; his teammate Estre turned a perfect lap utilising all the grip of his fresh tyres. The combined time of 1:57.500 minutes put the duo at the top of the time sheet and earned them an additional championship point. Bruni at times encountered heavy traffic during his qualifying attempt. Porsche Young Professional Matt Campbell was the fastest in the GT-Am class. The Australian, who won the Bathurst 12-hour race in Australia at the beginning of February, will take up the race over 1,000 miles (or eight hours) from the first grid spot with his teammates Christian Ried (Germany) and Porsche Junior Julien Andlauer (France).